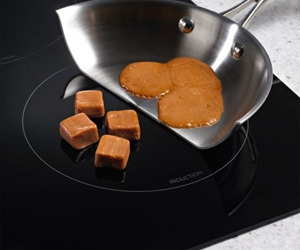 Induction cooking has been around for a while and offers the extreme convenience of setting up a stove top anywhere that there is a power point and a flat surface. Pastry chefs love them, popup kitchens rely on them, they have even made their way in to our home kitchens. 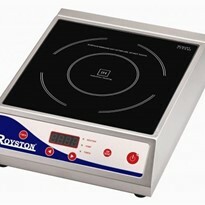 But what do we really know about our induction plates and how they work? 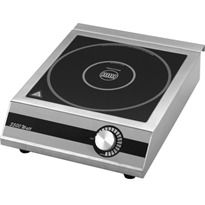 Induction cook tops fall in to two categories: the first is the cheap under $500 units often purchased to just get a job done, no frills, just heat when and where it is needed. The second expensive class are sleek, easy to clean and powerful. 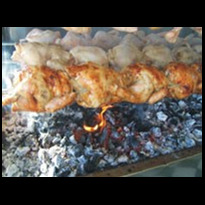 Unfortunately, with all of them, they just lack interface, they still treat heat as High, Medium or Low, relying on the chef to respond and control the cooking. 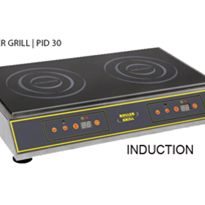 Induction cook tops cheap or expensive have always shared similar flaws; overheating and shutting down, simplistic temperature control, a lack of power or a 15amp plug that doesn’t fit into a standard power point. 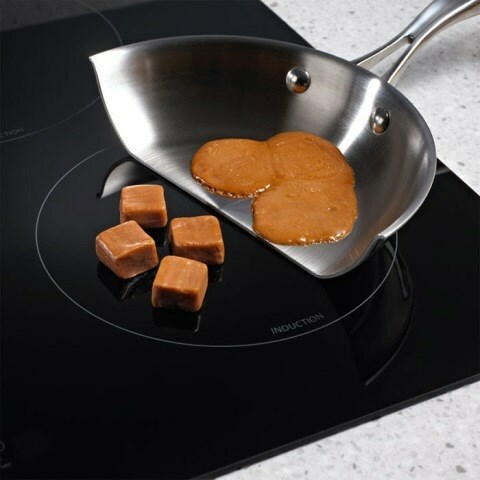 Although the concept of induction cooking is clearly genius, no one has ever really explored the potential that this cutting-edge technology should lead us to. Design has always been sleek with a focus on simplicity of cleaning. The elegant glass however has been one of the great setbacks of induct capabilities. 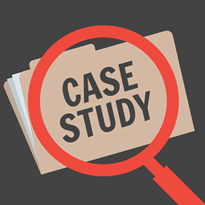 Seamless heat proof glass is elegant and yes, it is very easy to keep clean, unfortunately in all our technological advances we have not been able to develop a temperature sensor that can judge the temperature with any accuracy through glass. 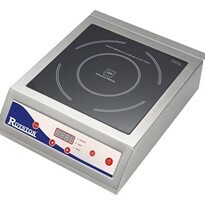 Many of the induction cook tops on the market display temperatures, even though we know that they are not able to judge the temperature of the item to which they are applying heat. 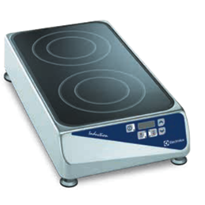 Early and cheaper induction plates told us the wattage of power being applied to the induction cook wear, like the gas concept of low, medium and high heat, more recent induction cook tops have attempted to insinuate temperature, but temperature of what? Is the cook top telling us the heat applied? 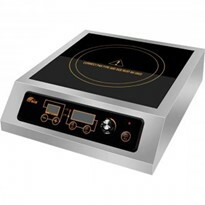 For those that have used induction cooking you will be aware that no heat is applied, only magnetic waves that the cookware turn into heat through molecular vibration of the iron in the cookware. 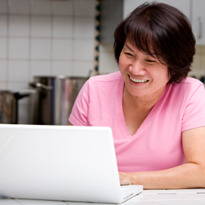 Most induction tops that display temperatures are just giving a different name to Low, Medium and High. 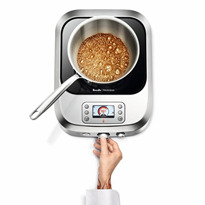 Breville realised the down fallings of induction technology several years ago, but how do you get over a hurdle that no one else has and why would anyone need to know the temperature of a pan to such accuracy? 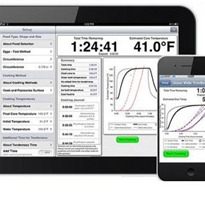 Breville were not just chasing accuracy but 1°C Accuracy. How and why? 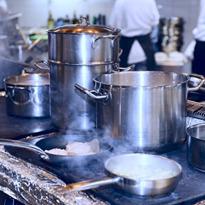 In the past sensors in induction cook wear were simply there to protect the device from overheating and self-destructing from its own cleverness. 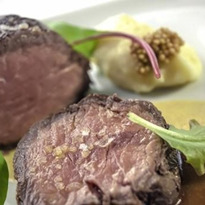 Sous vide cooking had achieved better than one degree accuracy, yet induction cooking with all its potential was still vastly inaccurate in controlling temperature. 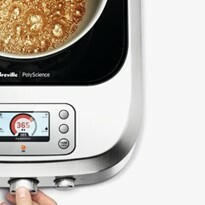 That was until Breville and Polyscience joined forces, intelligent design matched with years of precise temperature control. Design genius has ensued, if you can’t measure temperature through glass, drill a hole in it and set a multi-point temperature sensor against the cook ware being heated. If the greatest problem with induction is self-overheating, separate the control from the induction and independently cool both with variable intelligent fans. Still the challenges ensued, if you know the temperature of the base of a pot of water, what temperature is the top of the pot? 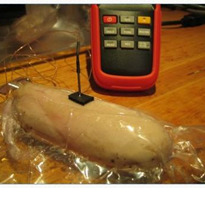 A separate probe to measure liquid at multiple points and software to intelligently interpreted and react to 1°C variation of temperature. 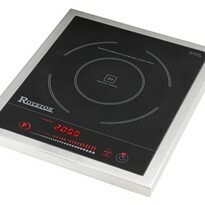 Suddenly, the possibilities with induction design and control are now limitless. Programmability, loops, auto sequencing, cook and hold, cook and turn off, cook and repeat, all of this based now on either temperature or time. How long should I sous vide it?